I can’t believe I remembered my password. Thanks to those of you who came around to tell me you missed my posts, and wanted to make sure I was doing o.k. (all three of you, you know who you are, thank you). But I’m back, and I will need you more than ever, with the holidays and all. Sometimes, static overtakes my brain and I can’t do anything but stare and think of things I’d rather be doing. 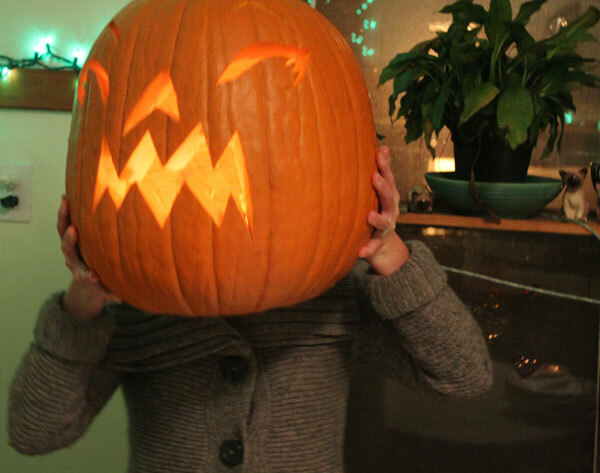 This entry was posted in Uncategorized and tagged Halloween, pumkins. Bookmark the permalink. I did truly miss you and your posts, Anna. I thought it was ME just missing things!